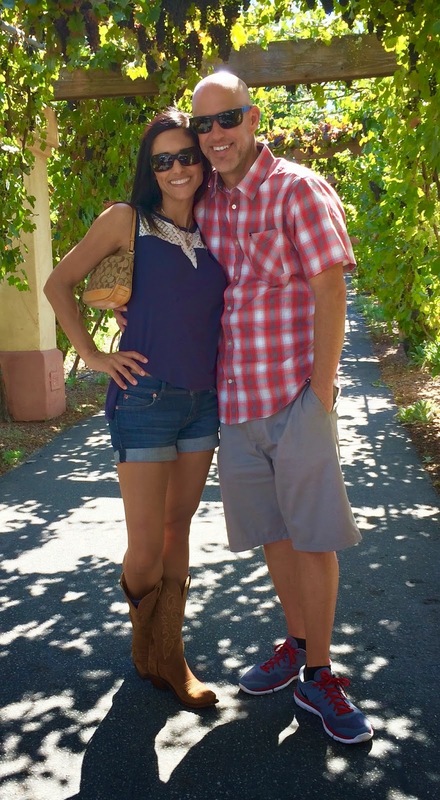 I'm always blown away when I learn more about my students, especially Kimberly, full time working mother of 3! Knowing Kimberly now for 7 years I had no idea she went through the self image struggles she has shared with all of you below. Kimberly has chosen to open up because she wants you to know that you're not alone! I can't tell you how many of my students have suffered from these exact battles with body image. Whether we are too thin, too big, too weak, not good enough, too this, too that... Kimberly has put this all in to perspective which is extremely inspiring. With Kimberly's full schedule she seems to still make time to show up for her short workout sessions. I always see her at school functions and she is a dedicated wife, friend, mother, and student. I hope Kimberly's raw and deep core story that she wrote inspires you to continue to find the path that brings you strength and joy in your life. 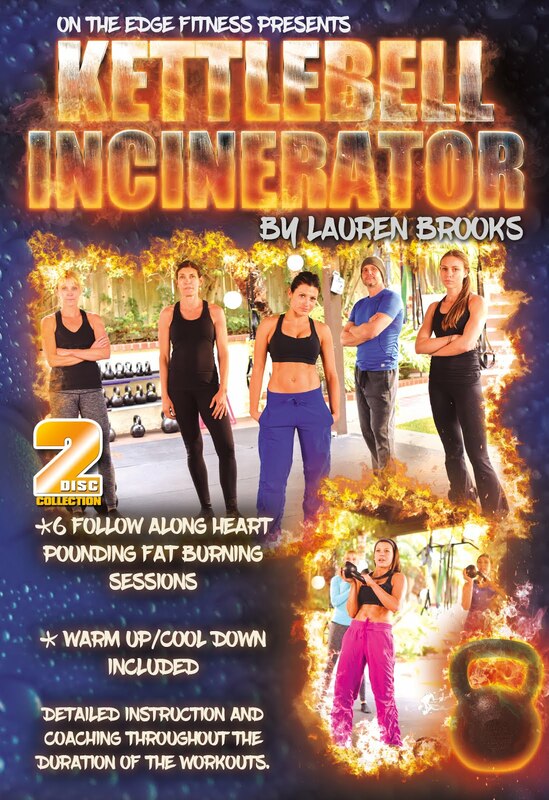 7 years ago…that’s when my journey with Lauren to a healthier, stronger me began. At the time my oldest daughter was 8, my middle daughter was 3 and my youngest had just turned 1. I’ve always been active, mostly a runner, but wanted to build strength. I’ll be honest…I really wanted nice abs! 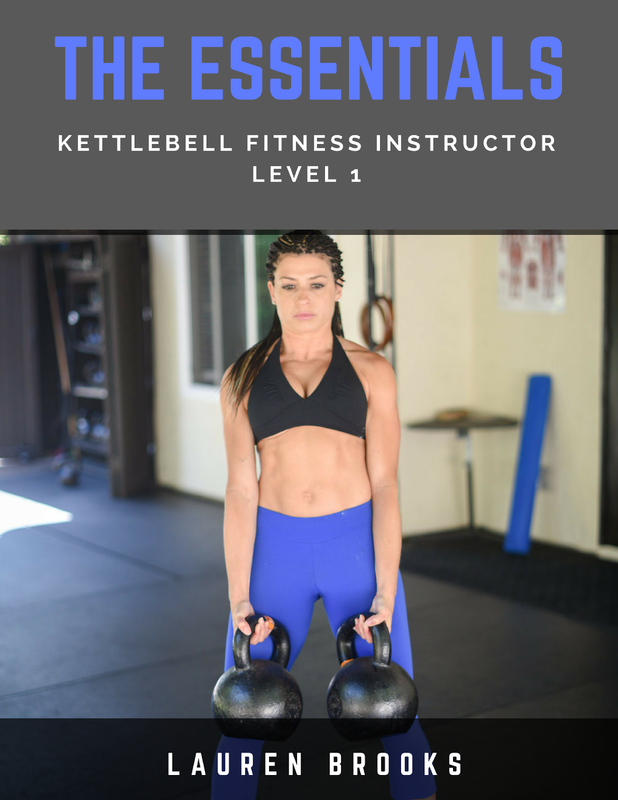 I remember my sister in law, who lived in Tucson at the time, was talking about this new workout she was doing…kettlebells. I had never heard of it, but I could see the results she was getting. So, like anything that I want to learn more about, I turned to the internet. I couldn’t believe it…one of the best instructors was living right in my backyard. I read about Lauren, looked at all her photos, and was in love with how her body looked. She was tone, but still feminine looking. 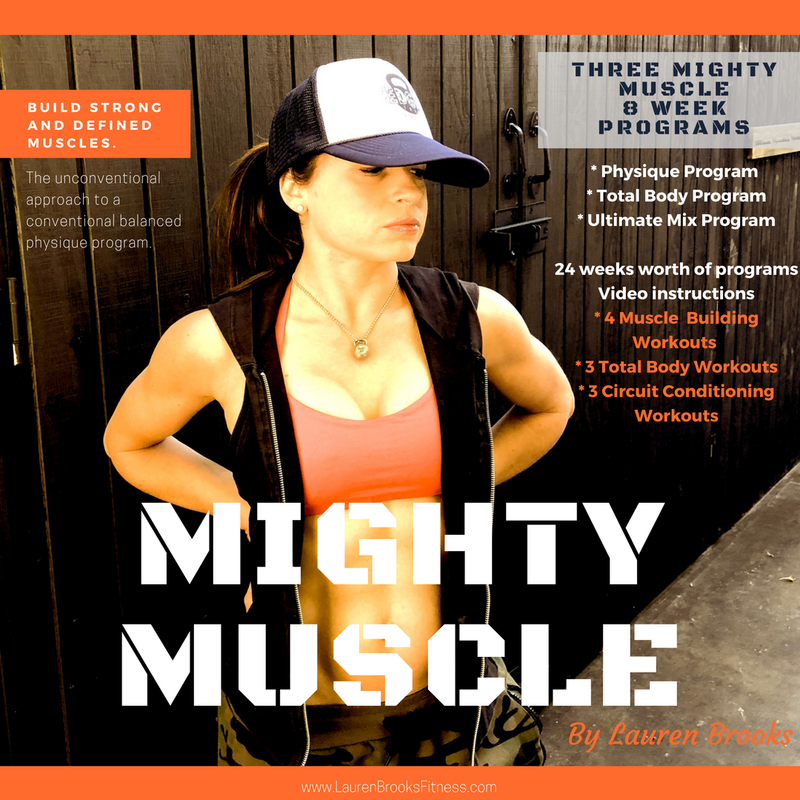 That’s exactly what I wanted and the more I read about the kettlebells…the more I thought…"I could do this." 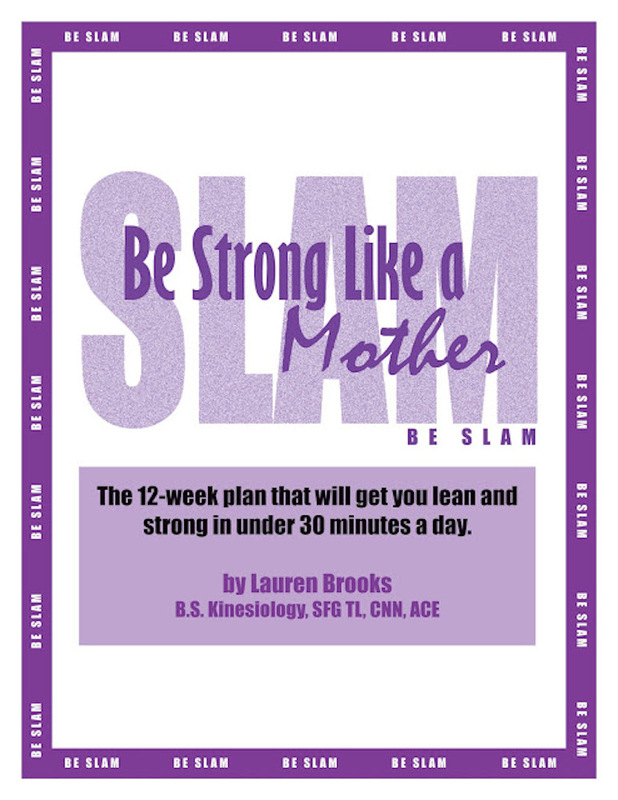 I called Lauren and set up an appointment to meet with her and “talk” more about this workout and how it could work for me. Lauren must have spent a good 15 minutes on the initial phone call with me answering questions and getting to know me before I ever met her in person. When I finally did make it to her house, with my littlest one in tow, I felt like I had known her forever. She just had this warmth about her that made me feel right at home. Any fears or doubts about doing kettlebells went right out the window. She gave me such confidence! Something I have to say that I haven’t always had when it came to my body. I guess I should take you back…way back…to high school. I was your typical girl…social, athletic, good in school, but I had body image issues. I swam on the swim team for 3 years so I was pretty fit…I had to be right? But at the time I didn’t think I was. When I was in college I suffered a bit from Anorexia, but I would never admit it. This is the first time I have actually said that out loud. I remember I would go an entire day without eating or just eat a couple crackers. My stomach was always upset and bloated, but I couldn’t understand why so I just wouldn’t eat because I thought that would make it worse. I was actually starving myself and my stomach was trying to tell me that. I remember my parents being worried and sending me to the doctor and I would make up stories about just being stressed, but that I ate and they were just overreacting. After all I was in college, I was an adult, and I thought I looked good…I was thin. A few years passed and I started to become healthier, I would eat but I would really watch everything that I put into my mouth. It was so unhealthy I can’t even explain it. This habit went on for years. I eventually married, had a daughter, moved crossed country, got divorced, and moved back home. Still with my unhealthy habits…constantly watching what I ate, working out at the gym, running, limiting myself, and skipping meals. How I could even workout with how little I was eating is beyond my comprehension. I needed to start to rebuild my life with my daughter. I started working full time, which meant I really had to work out because sitting in a chair all day was going to make me fat, right? I rekindled a friendship with my high school sweetheart. We started dating and to make a long story short we got married. I was happier than I had ever been…life was great and I was right where I wanted to be. Mind you still with my unhealthy habits. My husband, Cord, could never wrap his head around it. He would always tell me how great I looked and how beautiful I was, “but he had to say that, right?” he was my husband after all. Now just to clarify, I was unhealthy in my eating, but when I was pregnant I never deprived myself of meals. It was the warped way in which my mind worked. I’m not worth eating for, but I will do it for my babies. It wasn’t until my 30’s, looking back at an old swim meet video before I noticed what great shape I was actually in and really had been my entire life. Had I really gone this far in life thinking I was fat? Never being able to take a compliment? Thinking people were just trying to be nice by saying I looked great for having 3 kids? WOW! What a waste of those years and truly being able to enjoy my body and the shape I was in. Fast forward to the day I met Lauren. She changed everything for me. 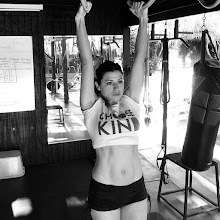 Granted she’s not a psychologist or a doctor or a life coach, but she is a strong, healthy, beautiful woman, who exudes confidence, oh and by the way, happens to be one of the best kettlebell instructor around. Have I mentioned that? 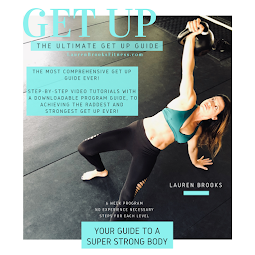 When I first started training with Lauren I couldn’t even do a push up…not one, but she never once made me feel less because I couldn’t do it. She kept encouraging me to keep going and that it would take time to see results, but that I would get there. For me that was the hardest part….waiting for the results, but I stuck with it and continued to work hard. How could I not?…if I stopped now I would let myself down and her…and I wasn’t about to do that. I’ve had to take a break here and there due to work and children, but luckily my husband is very supportive of me working out because he sees how healthy it makes me…not only physically, but mentally. 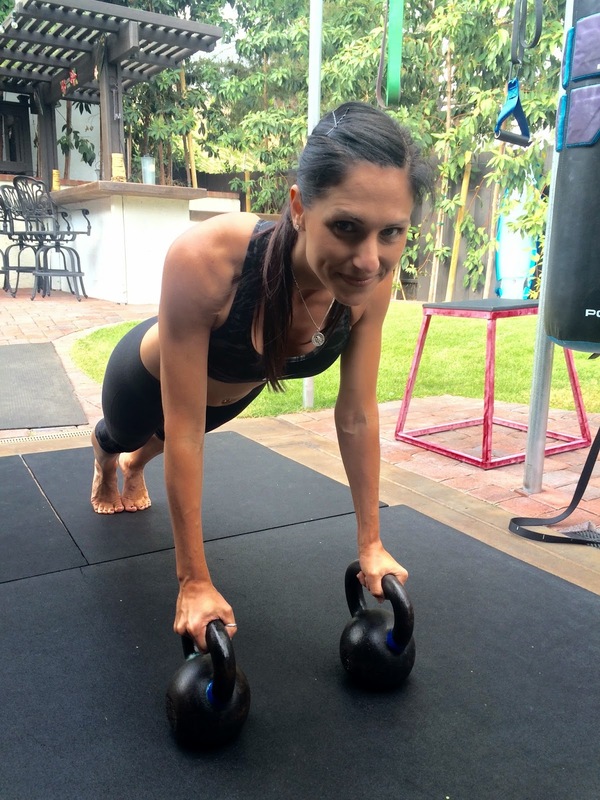 I can honestly say that kettlebells has made me a better person, a stronger person, a better mom and wife. 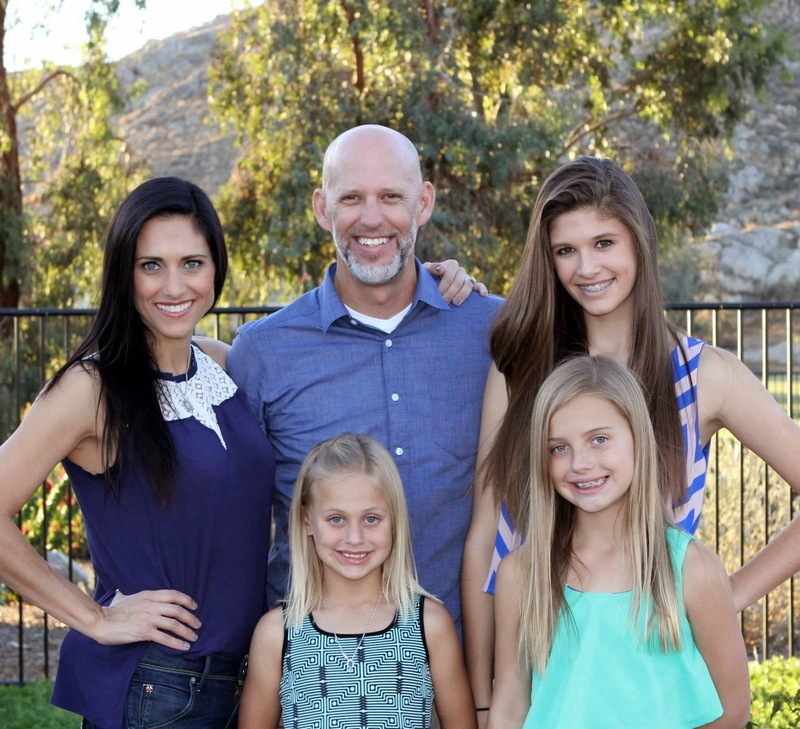 As a full-time working mom of 3 and a wife, it’s not easy to carve out the time for myself. 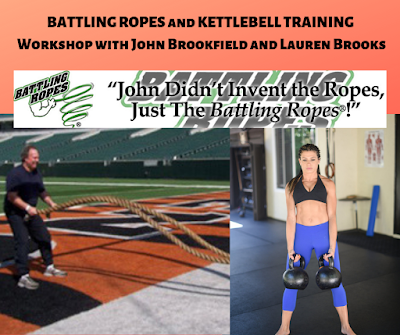 Sometimes I feel guilty that I go off to kettlebells 2-3 times a week, but it makes me so confident that I come home thinking I can handle anything life throws at me…and with 3 girls…a lot gets thrown at my husband and me! Today, I’m almost 42, I’m the healthiest and strongest I’ve ever been and can honestly say that, for the first time, I am comfortable in my own skin. I’m currently training for my second half marathon…let’s just say my first had a less than desirable ending and I want to prove to myself that I can do it. I’m hoping I get there, but what I can tell you is how kettlebells has positively impacted my training. Now, I have to build up my lung endurance, but my legs and body are stronger than ever. I remember going out for my first run in almost 2 years and was shocked at the strength in my legs. That was the moment I knew kettlebells was definitely working for me…not to mention I can do regular push-ups back to back. That to me is motivation to keep going, to keep training with kettlebells, and become stronger and healthier. I also feel it’s a good role model for my girls. They have no idea the struggles I’ve gone through with my self-image and I’m so careful not to discuss weight or anything like that in front of them. I want them to love the body God gave them and be comfortable with who they are and not let society or anyone else change that for them. What I love seeing is how they want to run with me or do sit ups or planks alongside me at home. Several times I’ve brought them to class with me, because I couldn’t leave them home, and they love watching. I find that to be the best way I can teach them…leading by example. If they see me do it, at almost 42, then they know they can do almost anything! I never thought I would be in better shape today than I was at 25, especially after having 3 children. 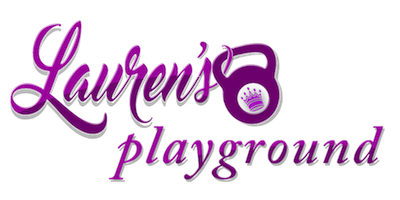 However, I feel amazing, healthy and strong and I thank God every day for bringing Lauren and kettlebells into my life when he did. Thank you so much Kimberly for sharing your deep personal story with us. I know many women of all ages will find this extremely inspiring. Kimberly also has a little side business of sewing and photography. She's quite talented and you can check her out here. At the end of the day it's imperative for you to never feel guilty to carve out a small chunk of the day to take care of yourself. This will make you a stronger rock for your loved ones and they will appreciate it in more ways than one. YOU GO GIRL! Keep rocking and motivating those around you. I applaud Kimberly for coming out with her body issues. I have many of these problems myself, but was never brave enough to raise my hand and ask for help. I am glad to see I'm not alone in this struggle.